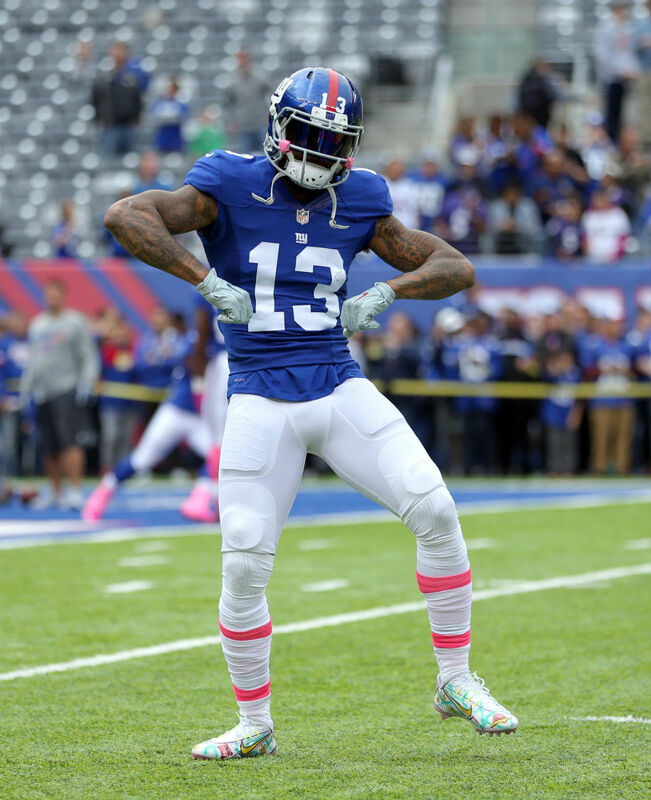 OBJ thinking pink before kickoff. Odell Beckham's season of wild custom cleats continues with a pair linked to the gaming community. 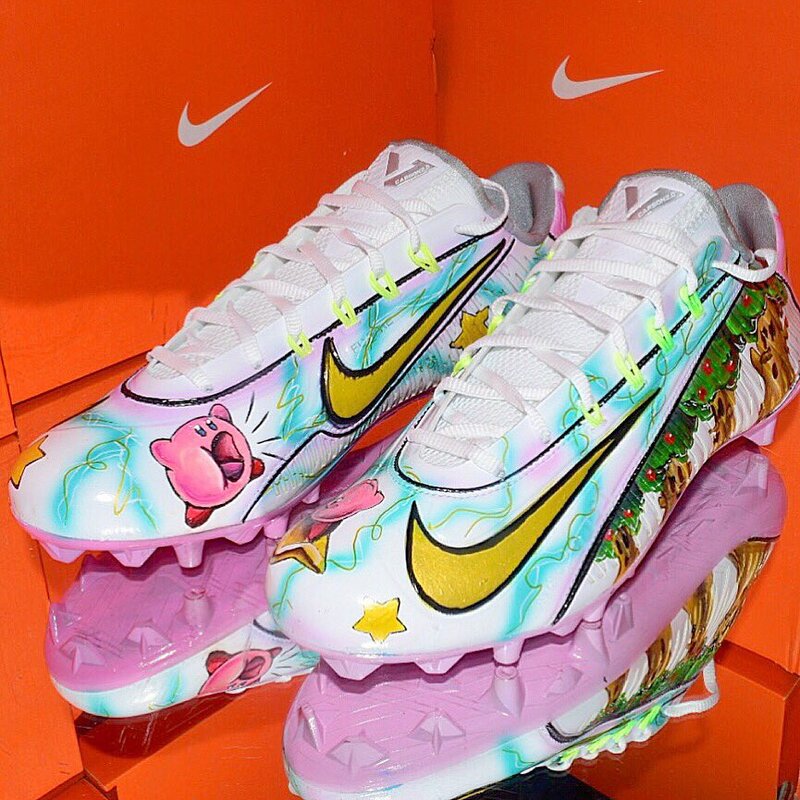 Once again working with go-to customizer Kickasso, Beckham took the field for pregame warm-ups today wearing Nike Vapor Carbon 2014 Elite cleats covered in graphics from Nintendo's Kirby series. The use of the pink character is a creative way to show support for the NFL's Breast Cancer Awareness campaign this month.